Load Line marker. 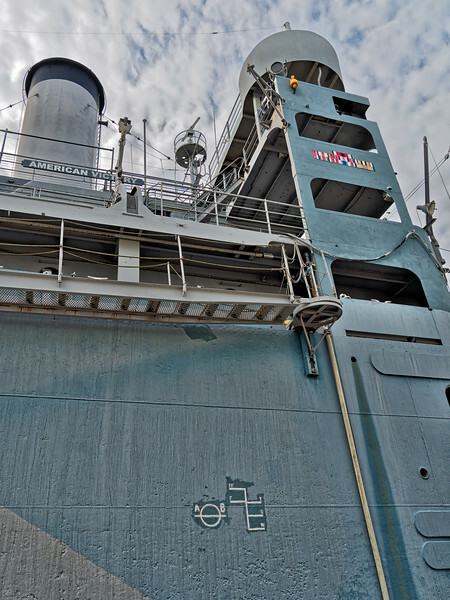 Typically located amidships, this marker is placed near the Plimsoll Line, also known as the point on the hull where the superstructure paint ends and the undersea anti-fouling paint begins. One of only four fully operational WWII merchant ships left in the U.S., SS American Victory was bulity at The Ingalls Shipbuilding Corp, Pascagoula, Mississippi, in 1947.Florida. It is now a museum ship in Tampa, Florida.